-Somewhere to Disappear is the title of an upcoming film featuring fan-favorite Alex Soth. - While we’re not exactly Justin Bieber fans, we are big on these images of the teen idol on tour in Europe shot by Joachim Ladefoged. - In a stroke of brilliance, Photoshelter released a free e-book, What Buyers Want from Photographers. You can download it here. - Sol Neelman posted some cool images from the semi-annual Machine Gun Shootout in Kentucky. - Marking last week’s Earth Day, Lens Culture has six environmental photographs complete with stories behind the images. - Just in case you missed it, Rob Haggart interviewed the esteemed (and occasional Georgia resident) Dan Winters. The three part piece is over at APhotoEditor. 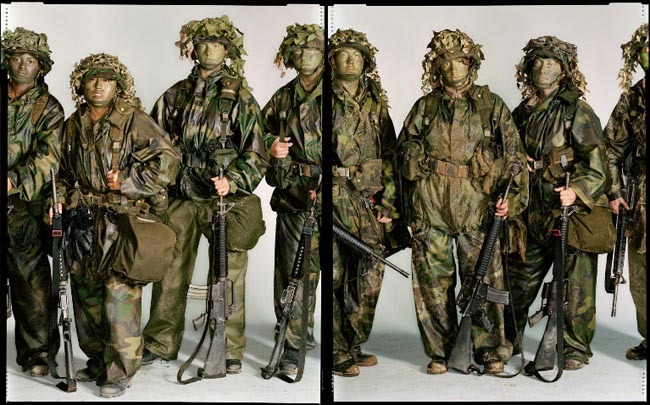 - Photojournalists Tim Heatherington and Chris Hondros were killed last week while covering the conflict in Libya. dvafoto has a list of remembrances and memorials written about the two men. Director’s reel from Chris Stanford on Vimeo. Varsity MFG Co. Jeans, promo video from Dorn Brothers Productions on Vimeo. Greg Miller’s Reel from Iconologic on Vimeo. director patrick molnar creative director robert pascale from wichita rex on Vimeo. July 2010 reel from Jason Fobart on Vimeo. Big Boi – Fo Yo Sorrows VIDEO ft.Too Short,George Clinton,SamChris from SNORTTHIS.COM on Vimeo. 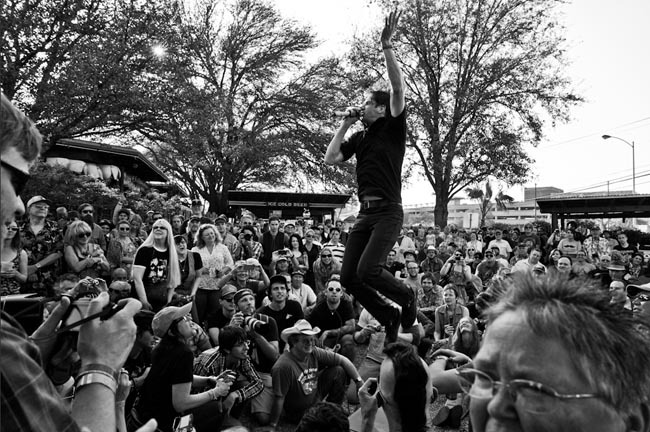 - Gary Copeland took his Leica M9s to Austin where he photographed SXSW and lived to talk about it. - Conscientious has a nice talk about photo books. 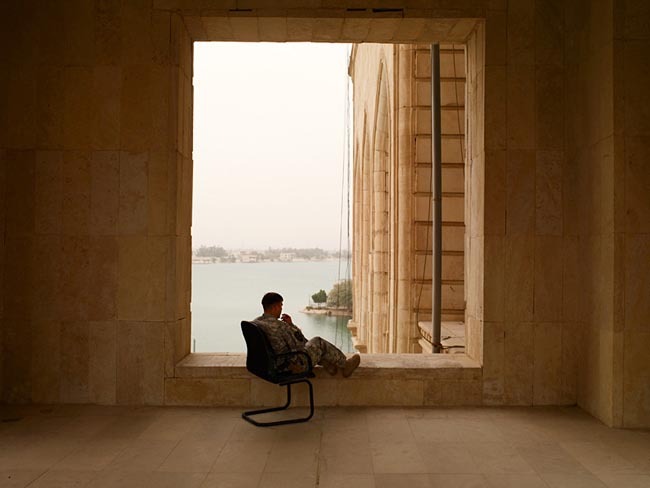 -Christopher Morris has been in Libya for almost a month shooting for TIME. He shares some of his thoughts and images over at Lightbox. - “Be creative, on time…and don’t give headaches.” Various photographers give snippets of advice at PhotoShelter’s blog. - Stephanie C. Roberts is teaching an iPhone photography workshop on Sat. April 30 at the Showcase School of Photography. Make the most of your twitpics and register here. - Local favorite Gregory Miller updated his site. Swing by and see all the amazing work he’s been up to. - A while back, someone posted a picture of an abandoned coal mine in Japan and now it has inspired pages of fans who seek an anti-zombie fortress. - As if the iPhone wasn’t big enough, now you can get a 360º video attachment. - Of the 180 Guggenheim grants distributed, eight were to photographers. Interesting video as the late Arthur Fellig, aka Weegee, talks about some of his classic and occasionally horrific New York City spot news photographs. 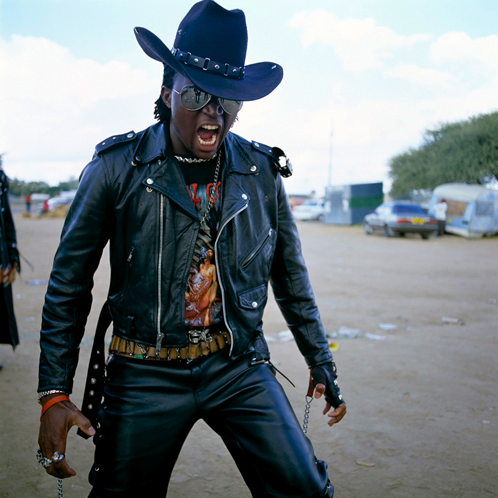 - South African Frank Marshall shoots Botswanna’s metal heads. - The yapping about Photoshop for the iPad continues. - Movieline doesn’t really like the new Mark Seliger shot X-Men posters. - Lightbox revisits the photographs of the attempted Reagan assassination. 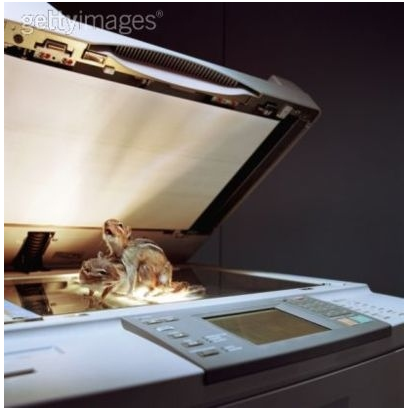 - A collection of humorous and terrible stock images has been making the rounds. Check out the train wreck here.